Our client, age 16, wanted an I-phone and his parents would not buy one for him. He became obsessed with buying one for himself, as all the other kids his age had one and he did not. In 50 Words or Less, What Happened? 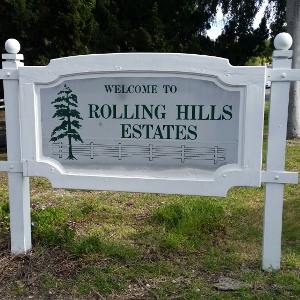 : Rolling Hills Estates, our client, age 16, caught selling marijuana at school, case resolved for Home on Probation. One day at school, one of the students in his class asked him if he’d like to make some money by selling small baggies of marijuana at school. Our client recognized this as his chance to earn enough money to buy his prized I-phone, so he agreed and took eight baggies of marijuana to sell for $10 each. It is unclear how much marijuana our client sold before being caught, but when he was caught, in class no less by a teacher at a local high school, he had seven baggies left and just $10 in his own pocket. He explained to the school principal and campus police from the Lomita Sheriff’s Department that he had sold just one bag. The Lomita Sheriffs arrested the client on charges of violating Health and Safety Code § 11359 (“Possession of Marijuana for Sale”), a felony, and Health and Safety Code § 11357(e) (“Possession of Marijuana on School Grounds”), a misdemeanor. The minimum punishment for the sales charge was sixteen months in state prison. Our client’s parents were absolutely devastated. They immediately took him to a psychiatrist to address his judgment and social coping skills. They grounded him. They were very worried that this arrest would ruin their son’s future and any chance of college. They were equally worried about their son possibly serving sixteen months in a juvenile facility, as he was slightly autistic. They hired Greg Hill & Associates to defend their son. Greg Hill immediately drove to the high school to meet with the school principal to discuss the facts and ensure she appreciated that the client was involved merely to earn enough money for an I-phone. In other words, the act of selling was conduct limited in scope and had not been going on for very long at all. He also wanted to assure the principal that the student’s parents were supportive of any type of discipline and were already disciplining him at home. Greg visited the high school two times, but the principal refused to meet with him. Greg also had the parents provide him a “Good Guy” packet of the client’s awards, certificates and letters of appreciation that he had accumulated over the years, as well as photographs of him volunteering at a local pre-school and his graduation photograph from graduating intermediate school. Greg then took this to the Lomita Sheriff’s Department and presented this to the handling detective to suggest to the detective that if charges were dropped, the client would never be a problem again because he was on course for college as shown by the “Good Guy” packet. At the first court appearance, the arraignment, the Juvenile Department of the Inglewood District Attorney’s Office had not filed charges. However, the juvenile department said they were still looking into the case and assigned our client a further arraignment date several months later. It is unclear if our client’s “Good Guy” packet and Greg’s two trips to the high school and the sheriff’s department had any effect on this or if the hesitation to file was simply due to a busy district attorney. However, the family was relieved. At the continued arraignment, our client was arraigned on the felony charge of violating Health and Safety Code § 11359 and the misdemeanor charge of violating Health and Safety Code § 11357(e). Our office received the police report and order a pre-plea, or probation officer’s report, to see if the client was eligible for probation. Usually, a charge of sales is very serious and probation is rare, as it is a crime showing some degree of planning and it is taking advantage of another person’s addiction. This would certainly seem to apply to our client selling drugs to high school students in school no less. However, in our case, our client had no prior record and was mildly autistic, so his specific intent to prey upon others for financial gain was less clear. The probation department looked upon our client with extreme sympathy and recommended diversion, wherein he would not serve any time in the California Youth Authority, fire camp or even Los Padrinos. Rather, he would admit the charges (the equivalent of pleading “No Contest” or “Guilty” in adult court) and then be released to his parent’s custody and undergo supervision by the probation department in doing 45 days of community service and drug counseling over a two year period (which is usually truncated as the juvenile complies and shows good grades in school). Upon completion of diversion, the client’s plea to the charges would be withdrawn, the police report sealed (and destroyed after three years) and the case dismissed. The client’s parents were extremely relieved and satisfied.